Why should you create a marketing campaign with Snapchat? Snapchat’s chief strategy officer (CSO) Imran Khan will tell you. During a keynote presentation at Dmexco covered by Adweek, Khan pointed out that approximately 73 percent of Snapchat’s 150 million daily users are located in the U.S., Canada, or Europe. Meanwhile, more than two-thirds of users create daily content, with the average person spending 25 to 30 minutes in the app. That’s a big opportunity for marketers. If you’re not yet familiar with how to use Snapchat for business, check out our Snapchat for Beginners and Snapchat for Business guides to get a feel for it. Once you’ve absorbed the basics, head back over here for some marketing inspiration. How are other brands using Snapchat? Let’s take a look at some of the most unusual Snapchat marketing campaigns that actually worked. In October 2016, Netflix took over 200 coffee shops to recreate the fictional café Luke’s from Gilmore Girls. Each cafe served up free coffee in Luke’s cups to promote the four-part series that premieres on the video-streaming service in November. Snapcodes—unique, scannable codes—were printed on 10,000 cups that were distributed at the pop-up cafes. Gilmore Girls fans and coffee consumers opened the Snapchat app and took a picture of the decal. Then Snapchat prompted them to apply the sponsored filter to their photos for one hour. The Netflix branded filter included an image of a toaster and a sign from Luke’s. The filter was viewed 880,000 times. As Snapchat told Adweek, the one-day marketing stunt reached more than 500,000 people. Nostalgia for autumn-themed heartwarming television show + Snapchat = great marketing campaign. Pro-tip: You may not have the resources to launch a Snapchat campaign of Luke’s coffee shop pop-up magnitude, but a custom Snapchat geofilter can be a big boost for your brick and mortar business or a one-time event. Geofilters allow Snapchatters to convey the when and where of their selfie in messages to friends. Where? At your dance party fundraiser. When? Right now. Look how much fun my friend is having, I should go too! The best part is creating a customer filter is fairly easy and doesn’t need to be expensive. General Mills hasn’t released a new cereal for 15 years, so when they decided to roll out the new fruit flavored, Tiny Toast for teenagers, Snapchat was a natural platform to utilize. Employing the talents of ad agency, New York Walrus, General Mills released a campaign starring anthropomorphic animals. The short video ads featured sheep, birds, and horses feeding or denying humans Tiny Toast. It’s clear that the humans will do anything to get the Tiny Toast. In one, a man enjoys Tiny Toast while a sheep shears his body hair. In another, a woman slams into a glass window trying to get at the Tiny Toast on a bird’s breakfast table. As the chief creative officer of the campaign told Adweek, the role reversal of animals in control of humans played well with teenage focus groups. Each video spot was a short 15 seconds and only available on digital platforms including Snapchat. Pro-tip: Creating a thoughtful, high-quality video ad is a worthwhile endeavor for the Snapchat marketer. You don’t have to break the bank to make a great Snapchat video, but you do need to break out of the box to dream up something that will grab the attention of your audience. In conjunction with the start of the 2016-2017 basketball season, Under Armour launched a campaign to promote their new Curry 3 shoe. The brand decided to introduce the shoe via video on its website as well as on YouTube and Snapchat rather than initially launching the spot on TV. Using the slogan, “Make That Old” referring to putting the slumps in Stephen Curry’s career behind us, Under Armour launched the campaign to great fanfare. Unanimous. Scoring Champ. 402. 73-9. 50-40-90 Club. Missed championship. The millennials who will pay $140 for a Stephen Curry sponsored shoe are on Snapchat, so it’s a natural place to make a big push for Under Armour’s product. Pro-tip: If you were thinking of investing in an expensive local commercial, good news, with Snapchat you can send the same message for free. That is, if you are selling to a young audience. Snapchat reaches 41 percent of all 18 to 34 year-olds in the United States. That’s a huge opportunity for a brand targeting young consumers. The Los Angeles County Museum of Art’s (LACMA) Snapchat manager teamed up with Disney for a bi-monthly Snapchat Story collaboration. LACMA and Disney launched the campaign with a re-telling of Beauty and the Beast over two days, two accounts, and 79 Snaps, utilizing the museum’s 130,000-plus collection of artwork and artifacts. According to FastCoCreate, writers and editors from Disney condensed the story of Beauty and the Beast while the LACMA team selected and illustrated the artwork. “Adapting an 84-minute classic in just under 80 snaps took upwards of three months to plan, including mapping out a route in the museum to Snap and caption every piece of art in real-time,” reports FastCoCreate. The result? 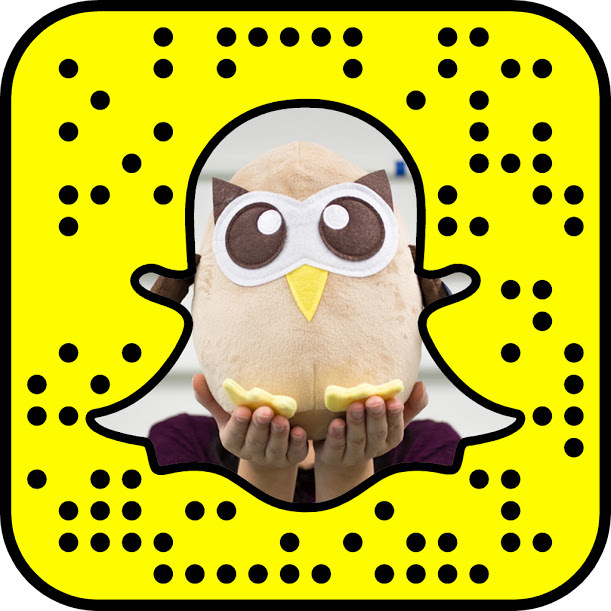 Some funny, magical content and a huge boost in engagement for both Snapchat accounts. Pro-tip: Stories are compilations of Snaps that create a narrative. Stories appear in chronological order with a beginning, middle, and end. Just as you would tell a bedtime story to a child or write a script for a movie, your story must have an engaging plot. Check out our guide to crafting the perfect Snapchat Story for more tips. The Tennessee Department of Tourist Development launched a Snapchat account and offered 5,500 free tickets to a show in Nashville hosted by country music star Garth Brooks. Along with the giveaway, Tennessee Tourism created content and video Snaps featuring a local radio celebrity talking about Garth Brooks. Tennessee also had filters at different places in the state that are meaningful to the country star. The budget for the initiative, which supports the state’s ongoing “The Soundtrack of America: Made in Tennessee” program, was $100,000, AdAge reported. Pro-tip: Giveaway free stuff for a limited time. Snapchat is the perfect platform to create scarcity. People love to feel like they are getting a great deal on something exclusive. Sharing coupons on Snapchat is an excellent way to build brand loyalty. Snaps disappear after you’ve watched them, and Stories only last 24 hours. A Snapchatter has to vigilantly follow your business on Snapchat and act quickly if they want the coupon or deal you are offering. If you’re inspired by these Snapchat marketing campaigns but need help bringing your employer on board, check out our post about how we pitched Snapchat to our boss and then go ahead and take your Snapchat game to the next level.